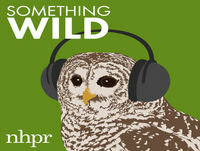 Something Wild: 12 Birds of Christmas...NH-Style! Something Wild: Why So Many Acorns? Ukraine Has Spoken. Now What? #19 - Cura Gay: o que há por trás do ódio? 4/24 Wed Hr 3: All aboard the SS Martha Stewart!